Abu Dhabi has a lot of things to offer to its tourists. Blended with strict Islamic culture and changing modern lifestyle trend, this Middle East city is the centre of attraction in the UAE. It is the house of one of the biggest mosques in the world and attracts millions of tourists every year. The city has lots of appealing views and options that can be enjoyed. It offers so many options to explore and experience which becomes the part of the enjoyment. Abu Dhabi has quickly grown as the centre of innovation and luxury that made this city the capital of the UAE. Business is growing in terms of tourism and other collaboration. There is fun and enjoyment in the form of nightlife, huge malls, parks, desert safari, long stretched golden beaches and many other options. If you’re visiting along with your family and friends, then Abu Dhabi is the city to explore and create memories. We bring you the list of 5 different ways on how you can enjoy and have fun in Abu Dhabi. If you’re looking for an option to escape from the hustle-bustle of the city, then engaging in desert safari Abu Dhabi is the best option to go for. This should be on your itinerary to experience something unique you cannot do so in any city. Book an exciting 4WD and drive across desert dunes, ride camels and sit under the sky full of stars to enjoy barbeque dinner. You can opt for the 6-hour of evening dinner safari along with the ride, sunset watch, photography and other activities. Stay in a traditional Arabic camp, where a host of activities are offered. If you smoke sheesha, then enjoy the time along with tasting Arabic sweets. You’ll be also served with coffee and dates. There are different packages in the desert safari which includes different activities. So you can select any of the available to enjoy the best time. 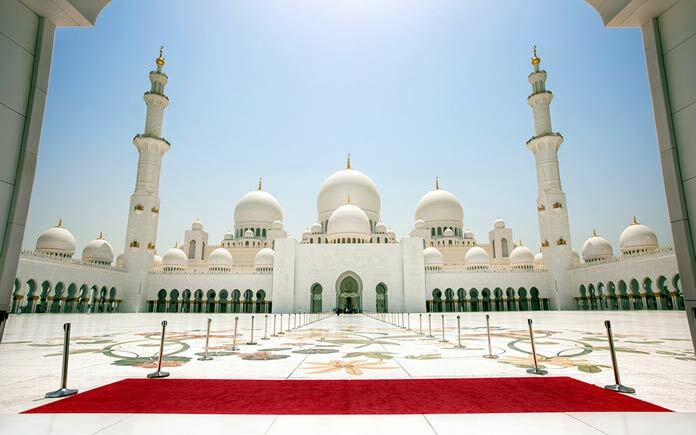 Initiated by late President of the UAE, the mosque was constructed from 1996 – 2007, and is the most beautiful mosque in the world. During Eid, the mosque witnesses more than 41,000 pilgrims offering prayer. The mosque houses a center of learning & discovery and a library. It holds some unique features to capture the attention of visitors. The carpet in the prayer hall is the world’s largest carpet made by Iran’s carpet company. Moreover, there are 7 imported chandeliers and has the second largest chandelier inside the mosque. There are 96 columns in the prayer hall carved with marble and mother of pearl. The entire mosque is designed with lavish materials by building 82 domes and 1000 columns that make this mosque a huge one. For photographers, Sheikh Zayed Mosque is a heaven to get some amazing photographs, especially during the evening period. Located in Abu Dhabi, the structure forms a sweeping curve on the western side of Abu Dhabi Island and features cycle paths, fountains and park areas. During the process of this land many other earlier landmarks were demolished. It is a great place to have fun as a part of Abu Dhabi city tour. Check out the Marina Mall located just opposite the Corniche which can be accessed through narrow breakwater road. This Marina Mall has the tallest UAE flag pole in the world. Another option for fun is the Lulu Island, located a few distance away from the Corniche and Emirates Palace Hotel. The place has a number of skyscrapers around making it worth visiting location. 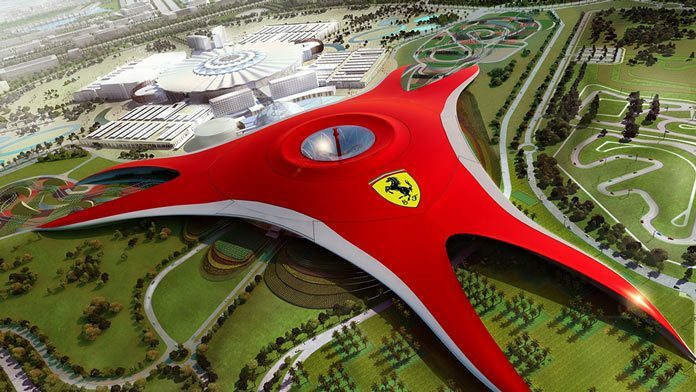 If desert safari Abu Dhabi isn’t enough for action, then check out the Ferrari World Abu Dhabi, which was created as a tribute to Ferrari’s passion and its excellence towards innovation. This entire park brings the life of fun and enjoyment back. Constructed in 2007, the park took 3 years of construction with tons of steel similar to the ones used in constructing the Eiffel Tower. From kids to adult, the park offers fun activities for every person visiting here. Some of the attractions listed here are: Benno’s Great Race, Cinema Maranello, Espresso Rosso, Fast Lane, Ferrari Past & Present Store and many others. The entire park structure is designed with perfection and has many unique things to share. At Bell’Italia displays more than 40,000 hand-planted miniature trees. There are total 1200 dining seats. You can enjoy this tour either by direct booking or you can take a package from tour operators like Imonholidays tours, who offer it as a part of their itinerary, if requested. 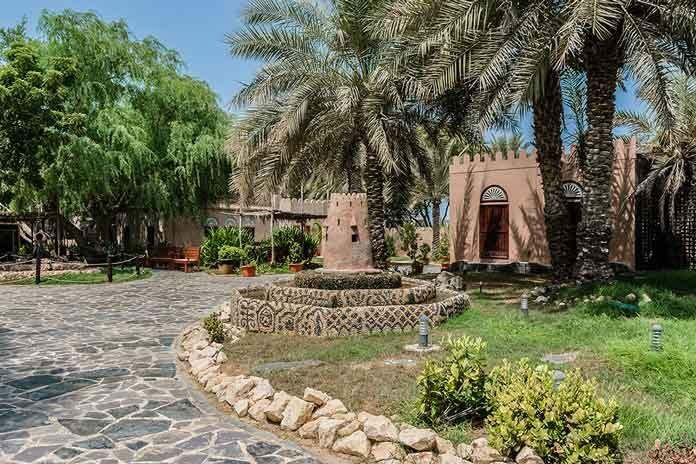 It is considered as one of the best cultural attractions among the Abu Dhabi city tour and is a re-creation of Emirati village showcasing Bedouin lifestyle. Walk along the Corniche past Marina Mall and you’ll come across some cultural attraction. For a family, this is a great location to explore and have fun. There are Bedouin tents with campfires set up for offering Arabic Tea. There are camels, Arabian horses and goats on display. If shopping is on your mind, then there are malls and shops selling traditional cloths, gold & silver jewellery and many more options. The Heritage Village also showcases photos of booming Abu Dhabi. There is a stretched white sand beach overlooking the skyline of Abu Dhabi. You’ll enjoy watching and participating in the water sports adventure. Entrance to the Heritage Village is free. 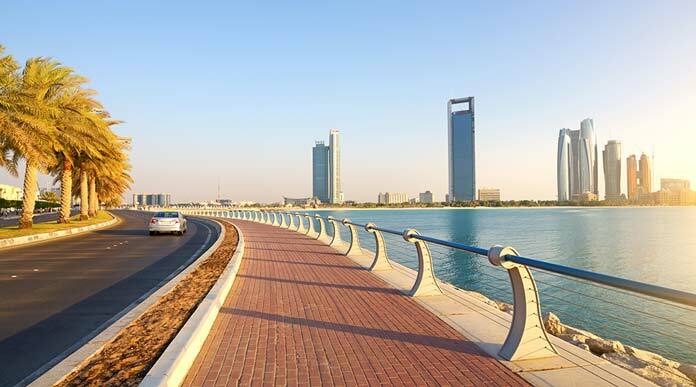 Abu Dhabi has witnessed a rapid transformation from being an oil-rich country to commercial and residential city. Tourism has picked up rapidly with tourists from across the world thronging to explore the booming city. Fun and enjoyment are the part of Abu Dhabi city tour. There are tour operators that plan, and execute tour packages for a fun-filled trip. With tailor-made tour packages, tourists can enjoy the best time in this city. However, one needs to follow the strict Islamic rules observed in the city. Smoking and drinking in public places and indulging in illegal activities are prohibited. 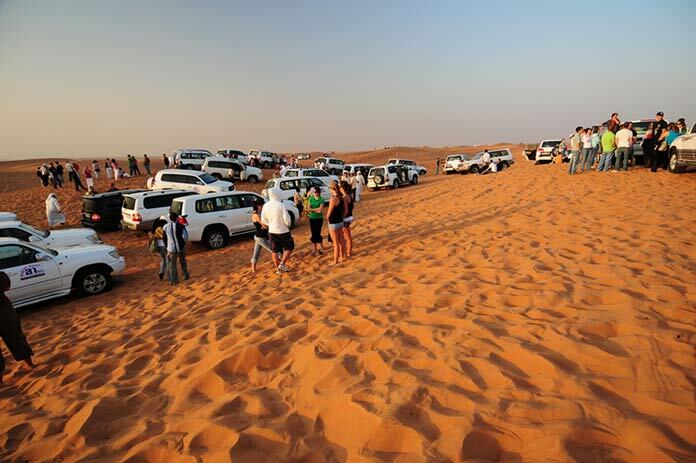 So pack your bags and head to enjoy the desert safari Abu Dhabi and other exciting activities for fun. Sagar is a foodie by heart who also loves to explore places on his own. He wants to convert his hobbies into profession and even aspires to open his own travel website along with a Chinese restaurant.